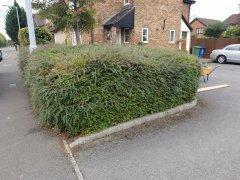 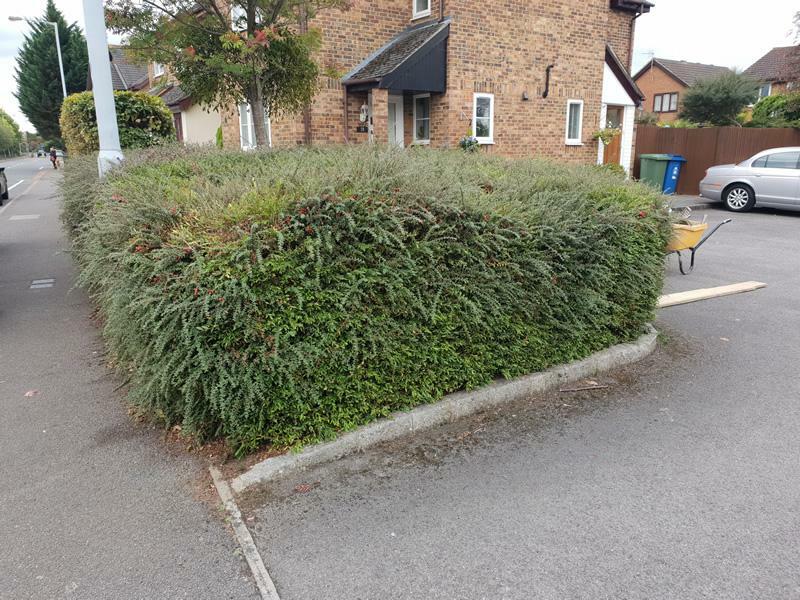 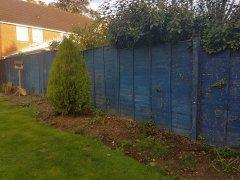 This was an ugly overgrown shrubbed area in Warfield. 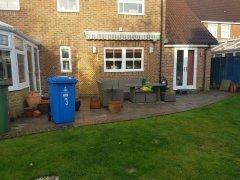 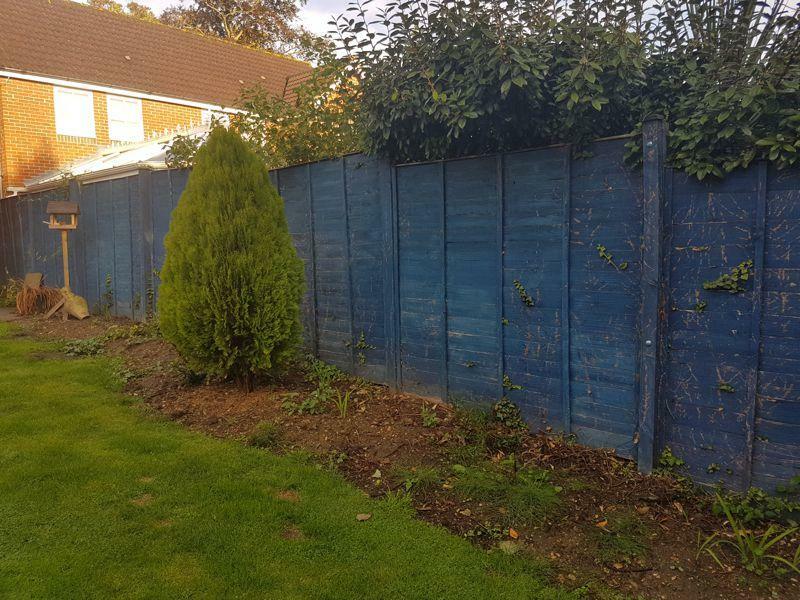 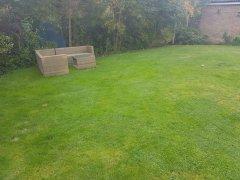 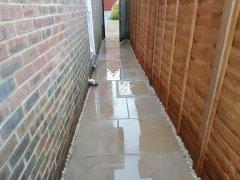 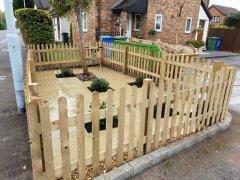 The area was dug out and replaced with 600x600mm paving, picket fence with gate, planting areas with shingle and cobbles. This is now a nice relaxing area to sit in the sunshine. Call Stone Valley Landscapes for a free site visit and free written estimate. 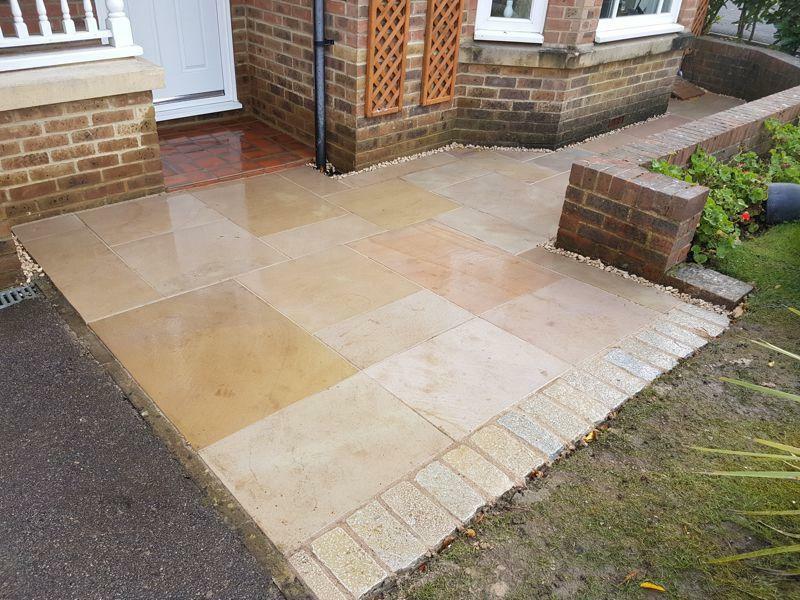 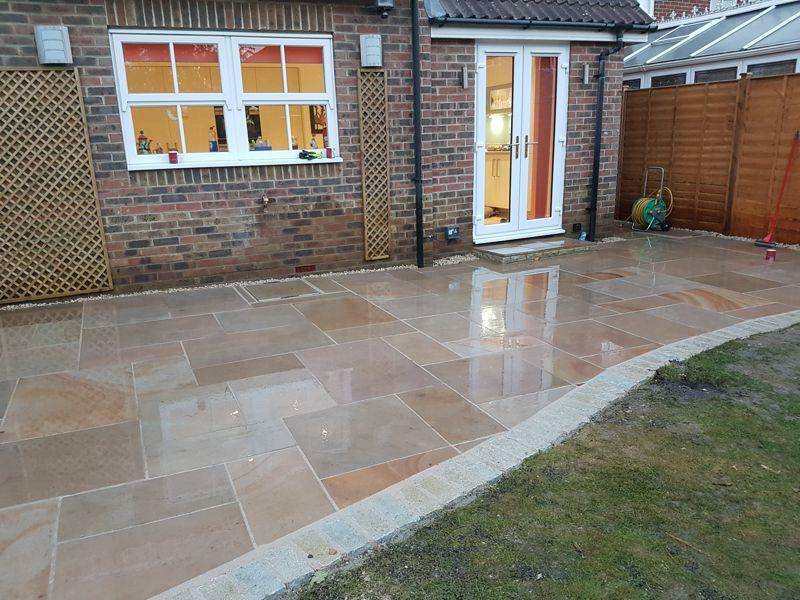 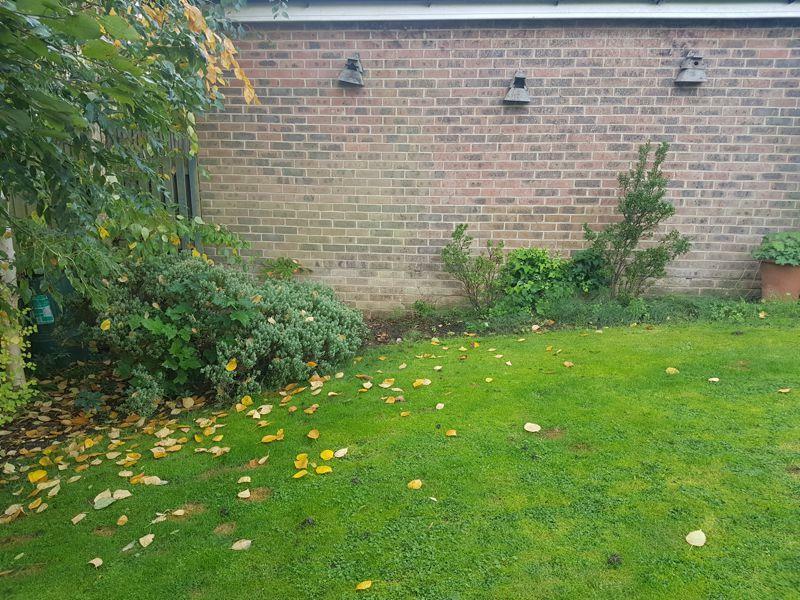 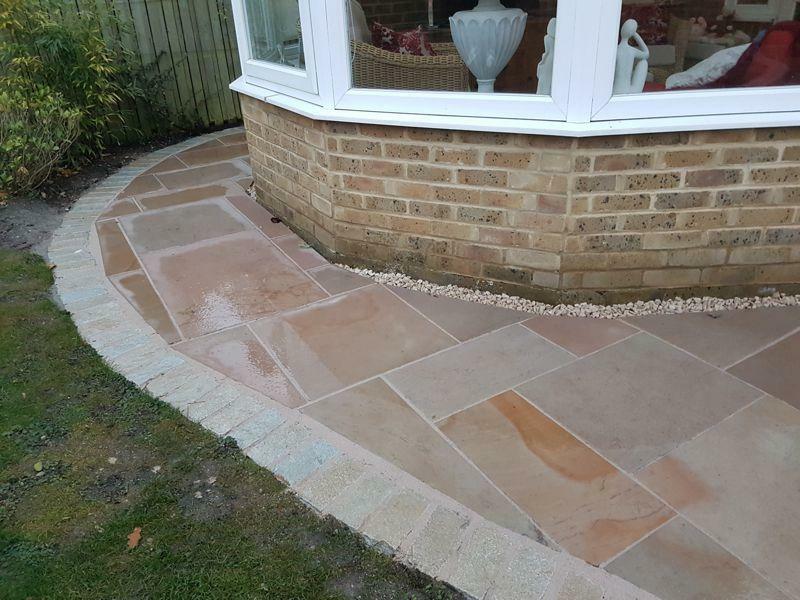 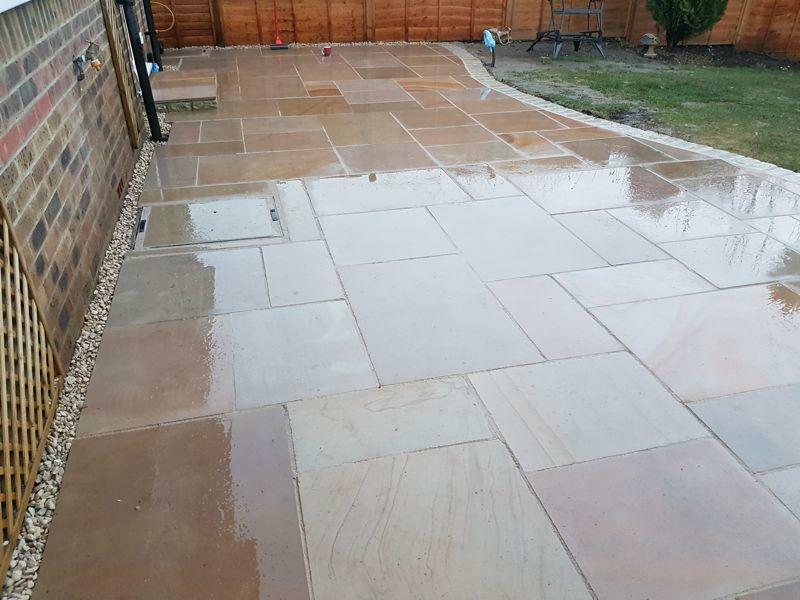 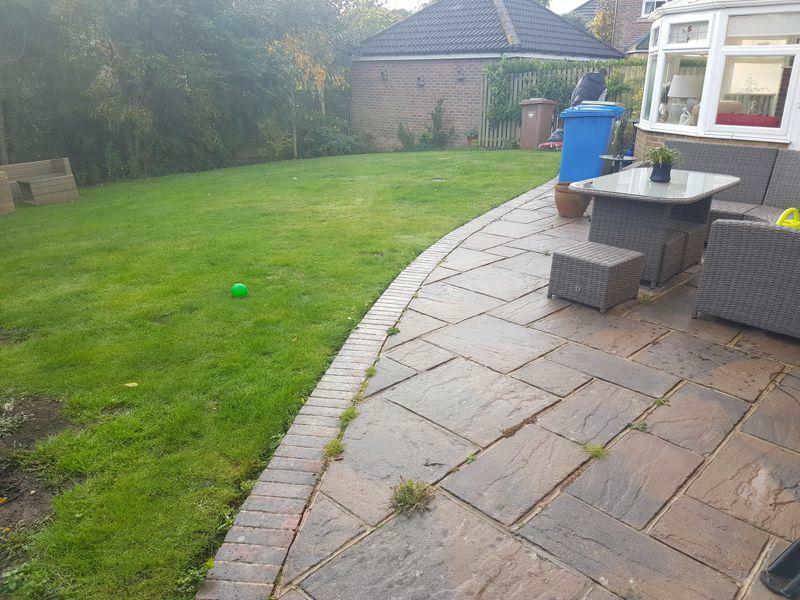 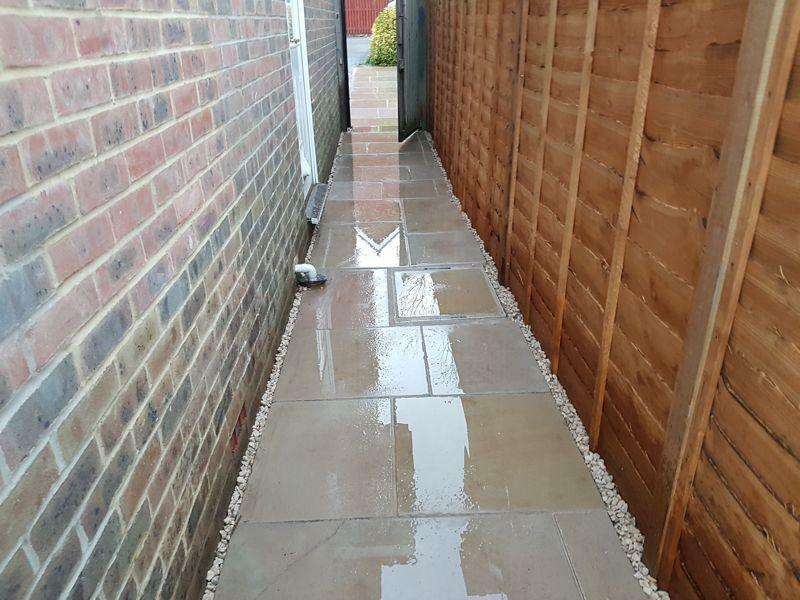 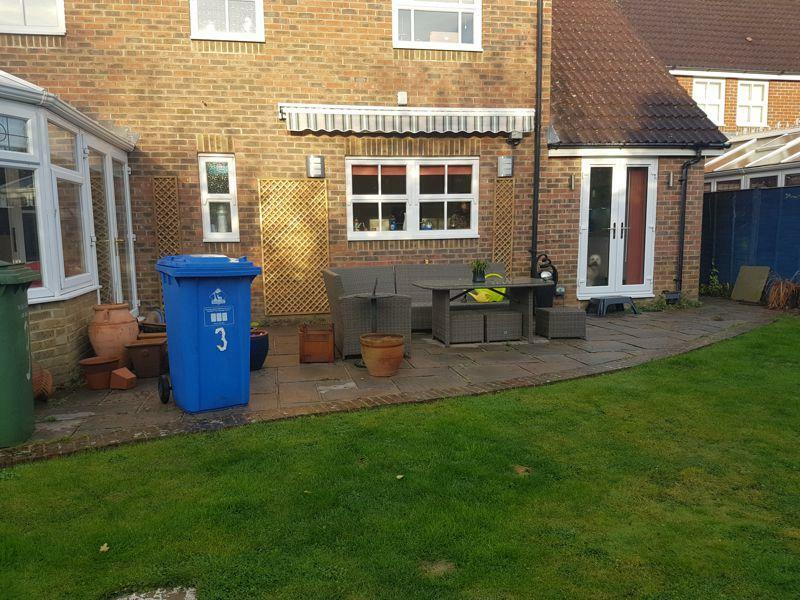 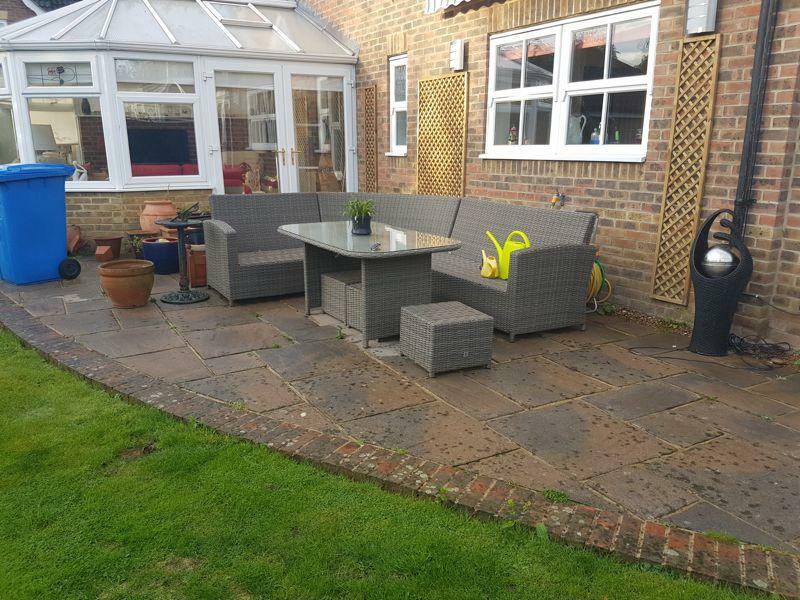 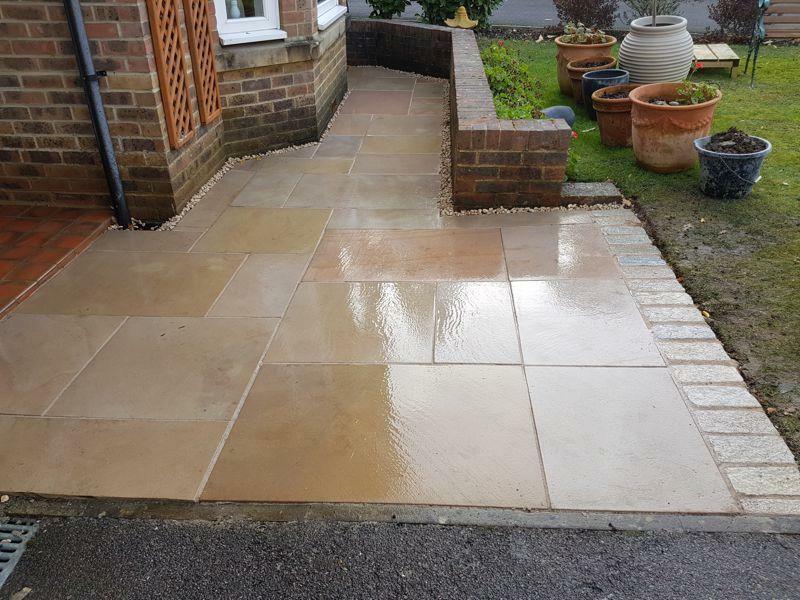 Our latest customer anted a new patio around the house, back & front plus a sunken patio with retaining sleepers in the lawn area. 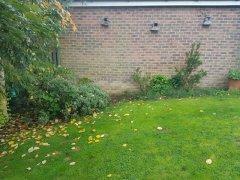 The Fencing was also to be replaced and a new shed base laid. New Sawn Sandstone Patio laid front & back with Victorian Limestone setts surround. 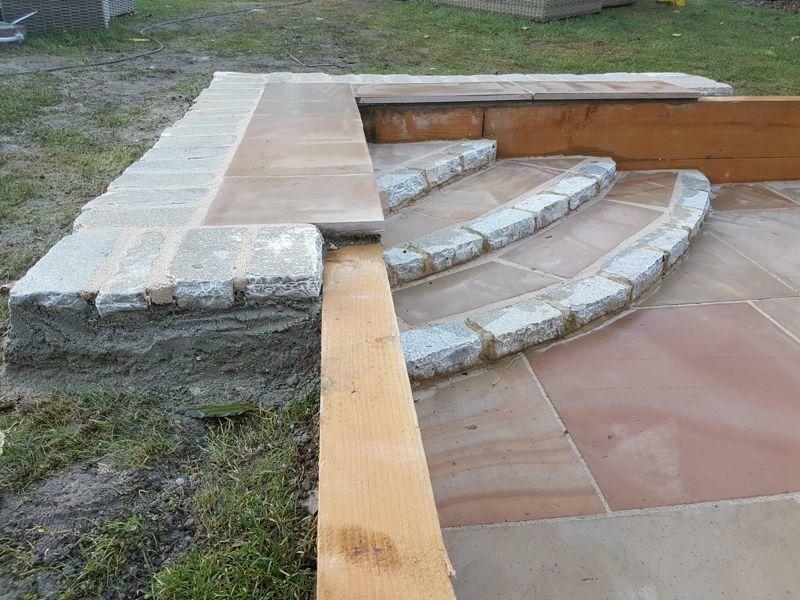 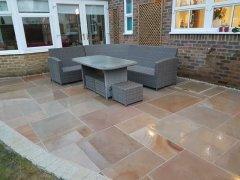 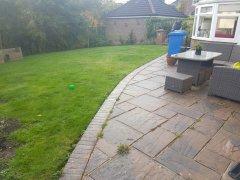 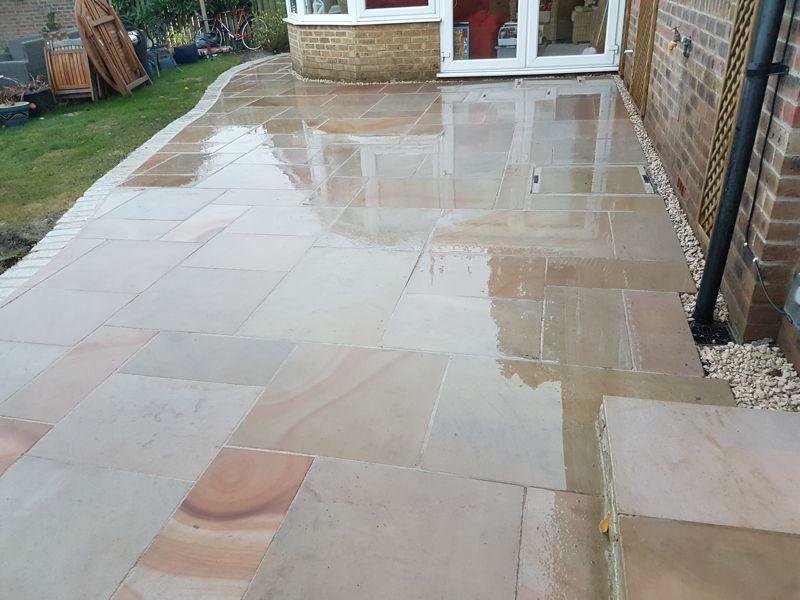 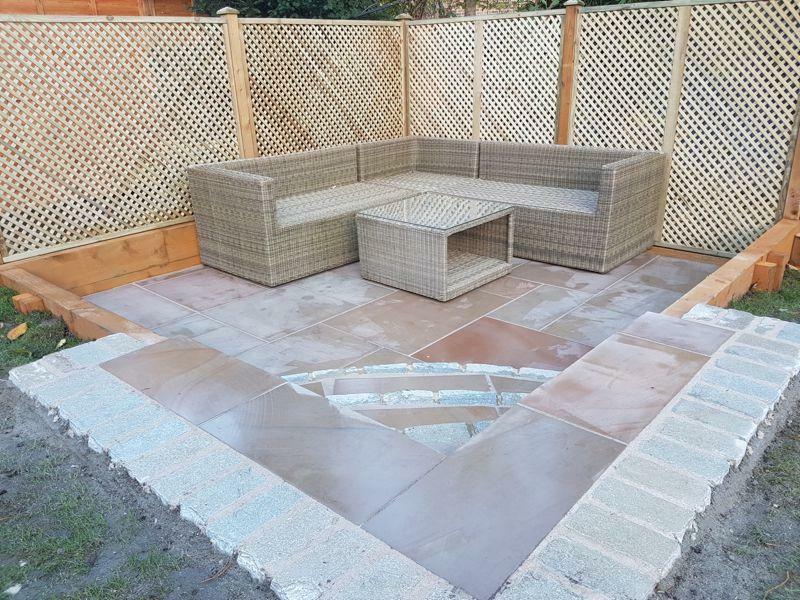 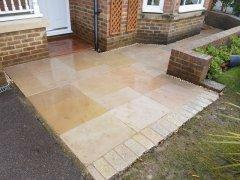 Sunken Sawn Sandstone Patio with steps and trellis. 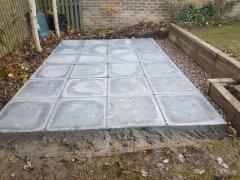 Heavy duty paving shed base. 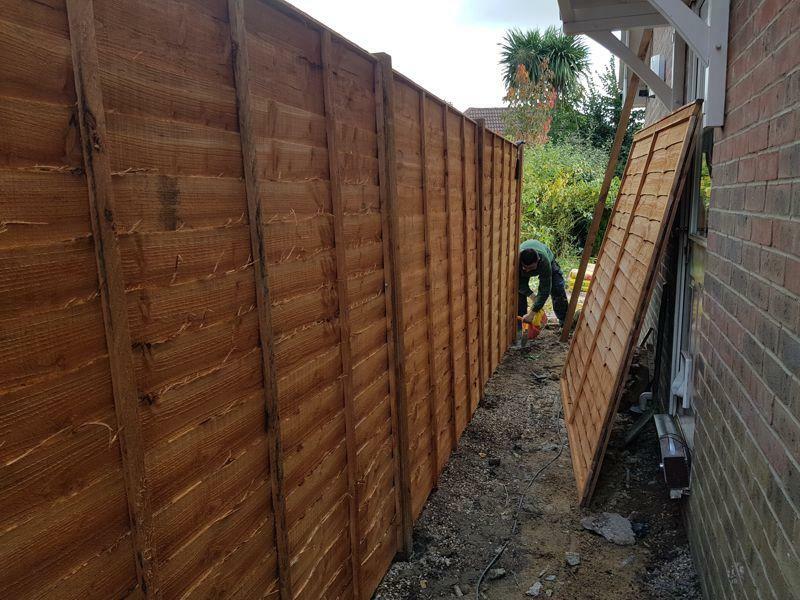 New overlap fencing.